Over $25,000 in prizes, 30+ Vendors and Multiple Winners! Every once in a while there’s an idea that gets everyone to cooperate towards a common goal in ways that otherwise just don’t seem to happen. The 2015 Dream Tank Giveaway, organized by Felix Bordon of Reef Savvy, is proving to be such a movement. An ever-growing list of marine aquarium industry vendors and service providers have once again come together under Bordon’s leadership to offer over $25,000 in prizes to multiple winners, with all proceeds directly benefiting St. Jude Children’s Research Hospital, in Miami, Florida. At the top of the list, a 125-gallon grand prize reef aquarium with all the trimmings awaits, along with a beautiful cube system fully loaded with the latest technology. CORAL Magazine is contributing two one-year subscriptions to go along with the two tanks up for grabs this year. 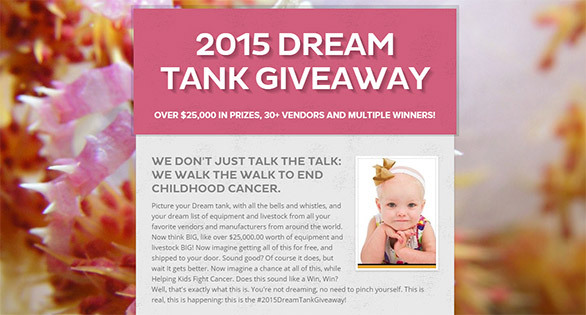 If you’re ready to dive in, head on over to the 2015 Dream Tank Giveaway website to learn more, or even go straight to the St. Jude Fundraising Page to make your contribution – $10 gets you in! 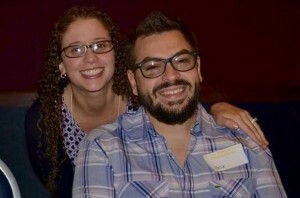 Felix and Katiria Bordon when Bordon was honored as volunteer of the month at Florida St. Jude Children’s Research Hospital. In a world where everyone wants your charitable support for an endless array of causes, St. Jude stands out. We suspect most of our readers are familiar in some way with the research, service and support that St. Jude Children’s Research Hospital provides to children with cancer and their families. Some of you are probably already supporters (some years back I personally shaved my entire head [hair, beard, mustache], all to raise a couple hundred dollars for an effort benefiting St. Jude). St. Jude’s efforts are funded to the order of 75% of the overall operating budget, through public contributions, and Felix Bordon’s efforts over the past couple years recently earned him Volunteer of the Month honors from the Florida branch of St. Jude. When I asked Bordon for more background on why he had organized the Dream Tank Giveaway, I expected to hear a relatively routine story about St. Jude being a great organization, and just trying to do the right thing and to do something to give back. Instead, I learned that this effort is much more personal, and the experience sparked a passion for fundraising where success leads Bordon to set ever-larger goals. Bordon watched as the routine family and work life most readers take for granted became replaced with what amounted to days spent with doctors, at the zoo, or at church. Bordon’s business, Reef Savvy, was almost an afterthought. He remembers refusing to take new orders, offering explanations and refunds to customers and vendors. Only Bordon and a handful of our readers can truly understand what this time must have been like. 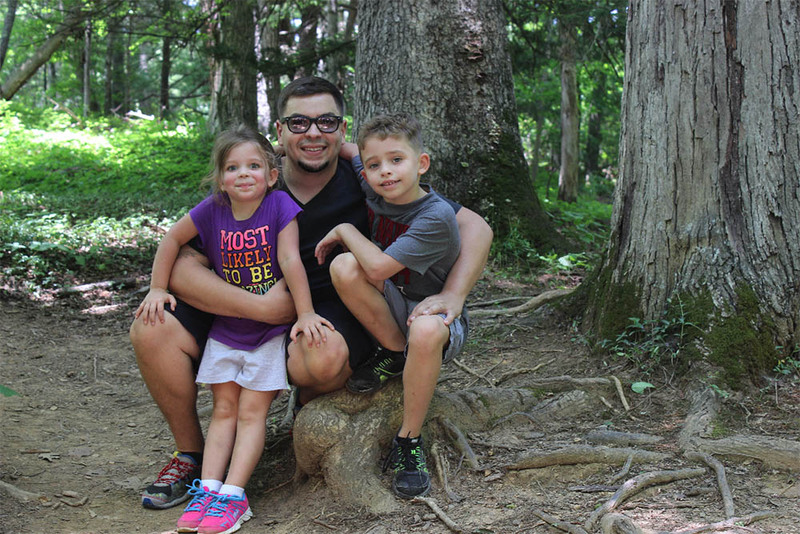 (left to right) Isabella Bordon, Felix Bordon, and Brandon Bordon, after their harrowing ordeal had passed, photographed in the Smoky Mountains, Summer, 2014. Image by Katiria Bordon. For anyone who ever wonders “who really wins these things?”, well, last year’s winner was Marty Schuum. “He’s a great guy and actually flew to MACNA in DC just to meet and thank all the vendors who participated last year in person,” said Bordon. A huge list of tank components from dozens of vendors…and this is only the “grand prize” tank! So Here Is How You Help! It’s actually REALLY simple. You can view the amazing Dream Tank Giveaway prize packages on the website, and you make your donations on the official St. Jude website! For every $10.00 you donate to the St. Jude Reef Savvy Page, you will receive 1 ticket number. For every $100.00 you donate, you will receive 1 FREE ticket. So, if you donate $100.00, you will receive 11 tickets, and so on. Further details can be found at these pages. As of late Thursday night, 9/17/2015, $36,763 had been raised already! Reef Savvy will pull the lucky tickets the evening before the walk, on Friday, September 25, 2015, so be sure you’ve made your donations beforehand. The deadline for donations to be eligible for the giveaway is Friday, September 25th, 2015, at 2 pm EST.